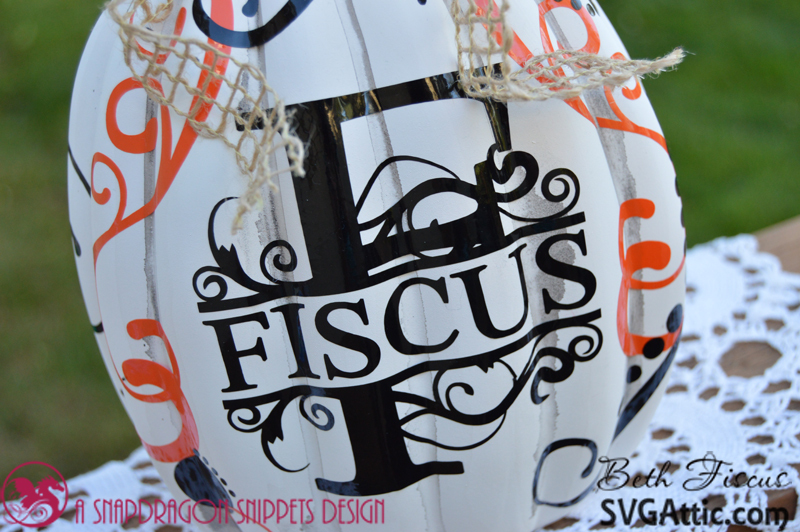 Halloween is only a few short days away, so I decided to decorate this ceramic pumpkin for my SVG Attic post. 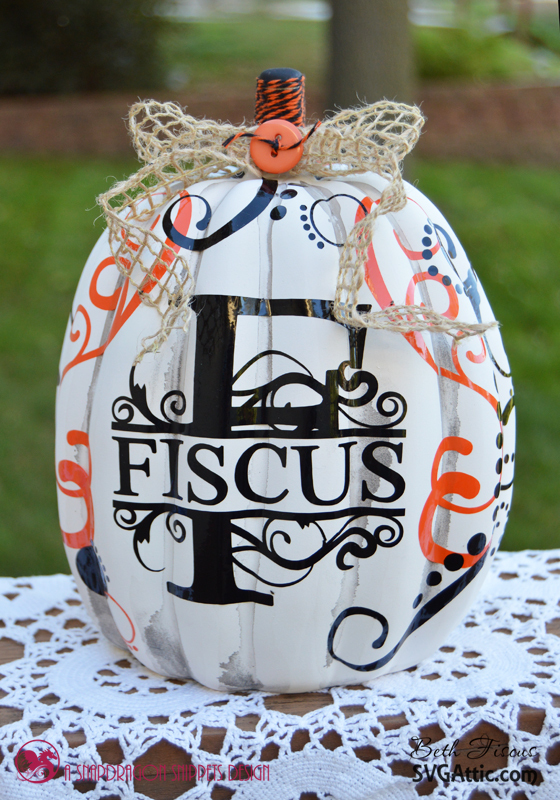 The files from SVG Attic that I used on my pumpkin are the "F" Split Monogram (or you can purchase the whole split monogram alphabet HERE) and the swirls are from JGW Raven Quest. 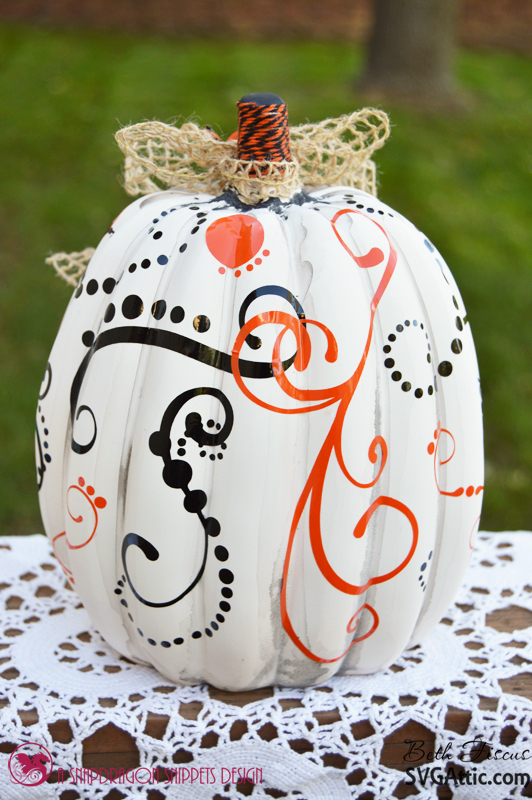 To prepare the ceramic pumpkin, I sprayed it with white matte spray paint. Then I watered down black acrylic paint and dripped it down the crease lines to make a more grungy look. Here is a side view. Yes, even the back is vinyled! I used orange and black permanent vinyl so it would for sure stick well. I get most of my vinyl HERE. Here is a close up of what I did to decorate the stem. 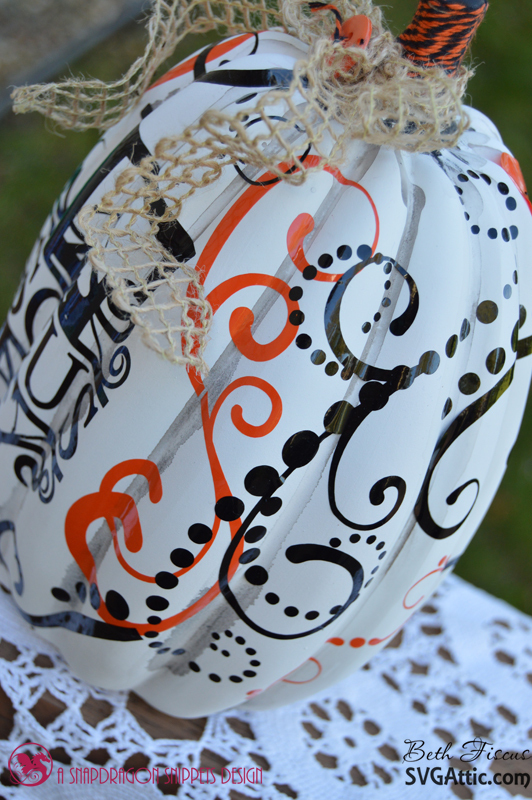 I painted it black and then wrapped Orange Licorice Trendy Twine around it. 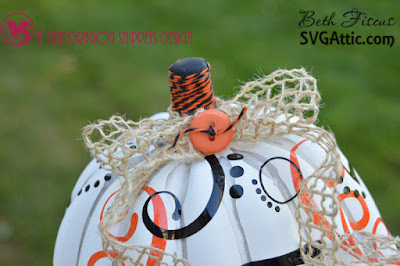 Then I added a bow of burlap ribbon with a button in the center. Last year I added vinyl to a real pumpkin. If you want to see that post, click HERE. Oh wow, this came out so stinking cute! Very creative! Amazing project! Love that it's ceramic so you can use it every year! 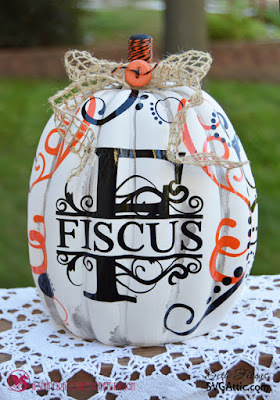 Your embellishments look awesome! GASP! Awesome job! I love it! Oh wow.. this is absolutely gorgeous! I normally wouldn't use the word gorgeous in the same sentence as Halloween but this is a first and its all because of your talent!!! 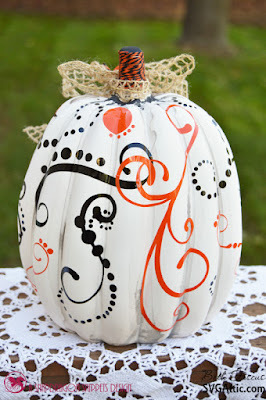 I LOVE how this ceramic pumpkin looks... this is just so beautiful!! 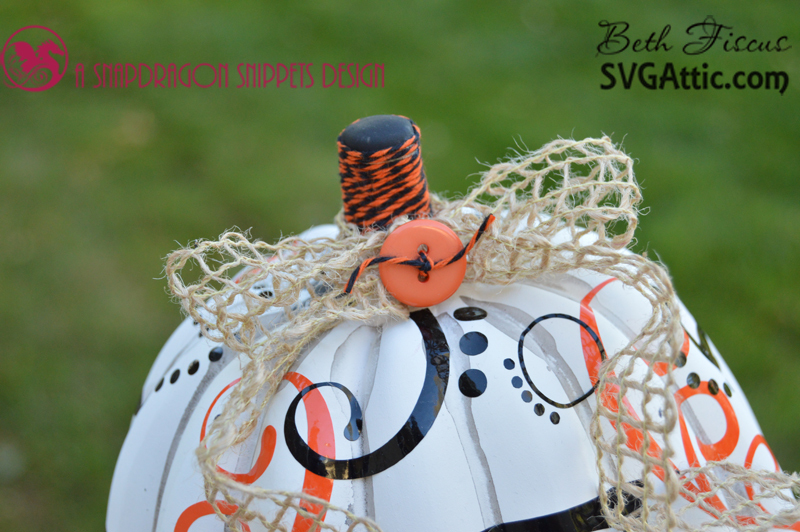 Thanks for linking up in our Halloween Funday Friday challenge! WOW! this is so fabulous, loving it. Thank you for joining us over at Decorate to Celebrate.